The LED Headlamp, 160 Lumen with Adjustable Band By Stalwart is a comfortable and lightweight option for dark corners or night activities. The small design will make you forget that you are even wearing a headlight in the first place! The durable plastic build features an adjustable head strap to provide a seamless fit for both kids and adults and is perfect for traveling jobs, home improvement projects, or to put in your household emergency kit! COMFORTABLE AND VERSATILE- The soft adjustable head strap can attach to your head, hat, or helmet securely with ease. The durable plastic build is perfect for traveling jobs, home improvement projects, or to put in your household emergency kit. 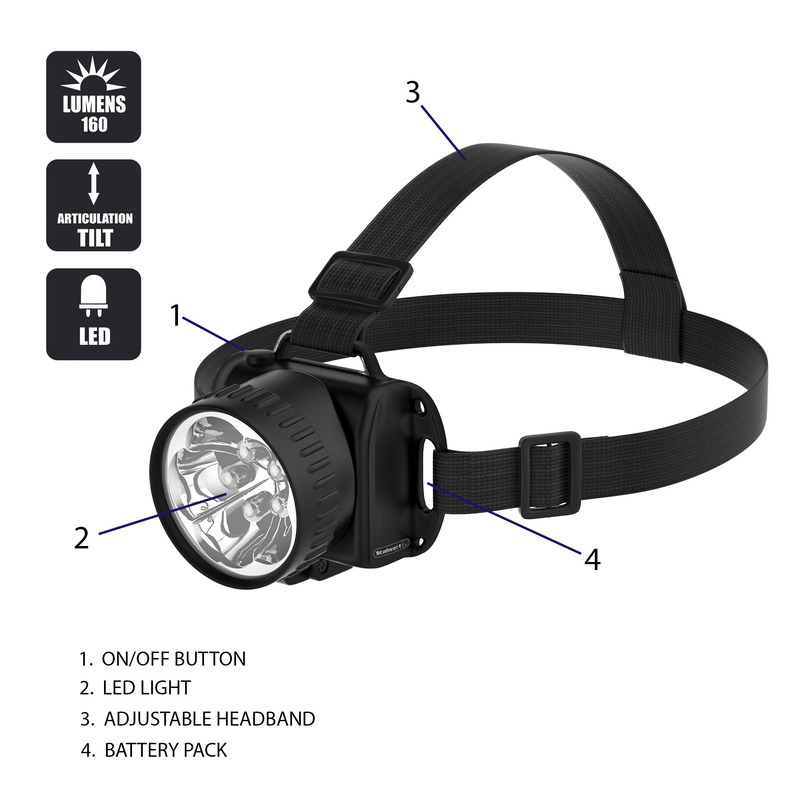 MULTI-USE- This headlamp keeps you completely handsfree while camping, hiking, hunting, running, biking, and fishing. In addition, daily tasks like walking your dog, working in the garage, or just reading a book at night are made easier and safer! 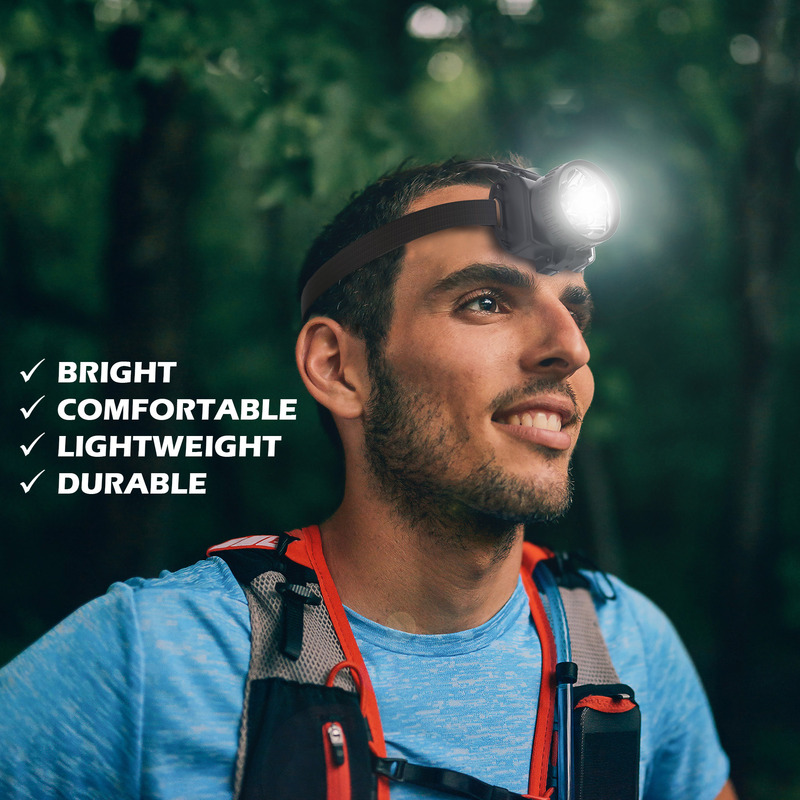 ADJUSTABLE SETTINGS –This indoor-outdoor headlamp features an articulation tilt, allowing you to move the light base and point the light directly. The strategic design provides optimal lighting right in your line of sight, while remaining hands free! 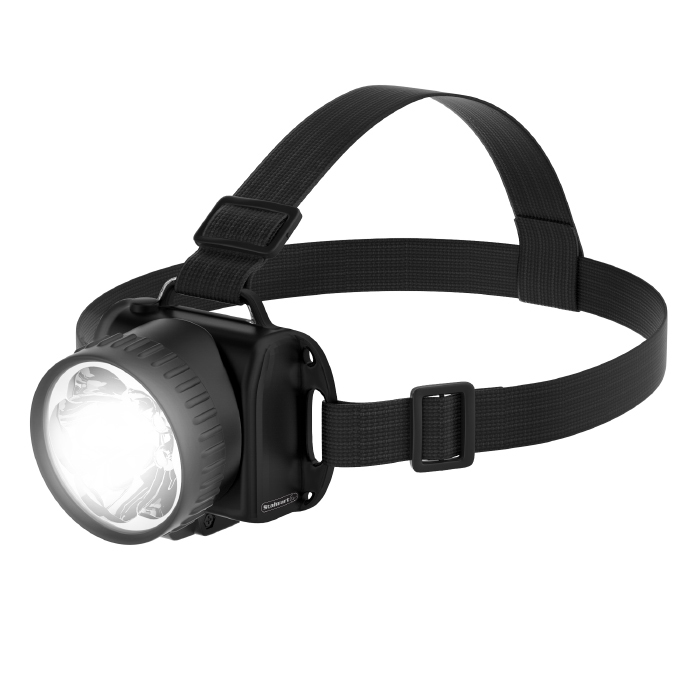 LONGER LASTING- The 160-lumen headlamp includes bright COB LED lights, providing energy-efficiency. Additionally, this light can switch between high, medium, and low light settings so you adjust the strength of the light to fit your needs. PRODUCT DETAILS– Color: Black. Requires 3 AA Batteries (Not Included) for headlamp. Light includes 5 LED Bulbs. The durable and elastic headband adjusts to fit most head sizes.